The Krauser MKM 1000 is a German motorcycle developed by motorcycle racer Michael Krauser using a state-of-the-art computer-designed space frame developed in partnership with an engineering company named HPN – named for the first initial of each of the founder’s surnames Alfred Halbfeld, Klaus Pepperl, and Michael Neher. Michael Krauser enjoyed a long and illustrious career as a works BMW sidecar motorcycle racer in the 1950s, winning the national German championships in 1955, 1956, and 1957, and 1958. 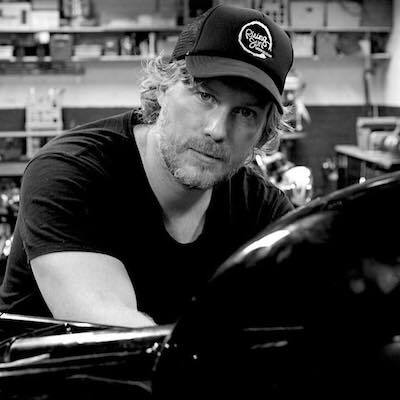 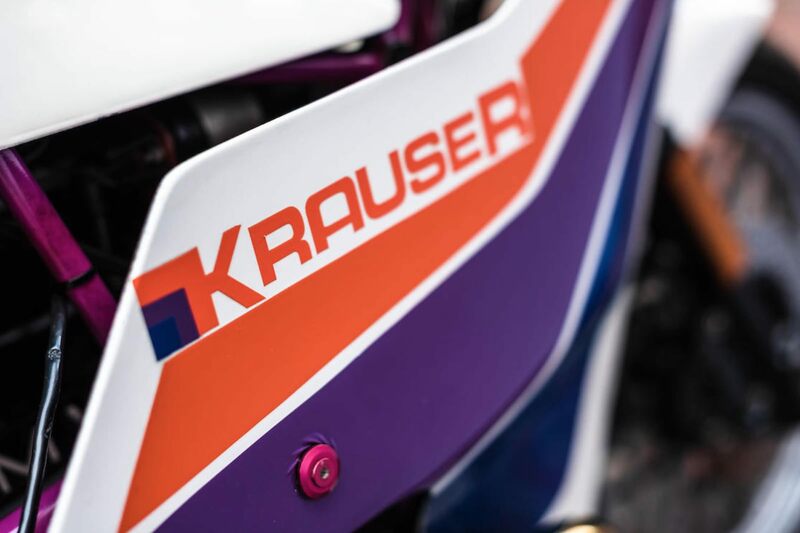 Krauser moved from riding to race team management, and by the 1970s he had expanded into the field that he would be most famous for – designing and manufacturing motorcycle luggage. 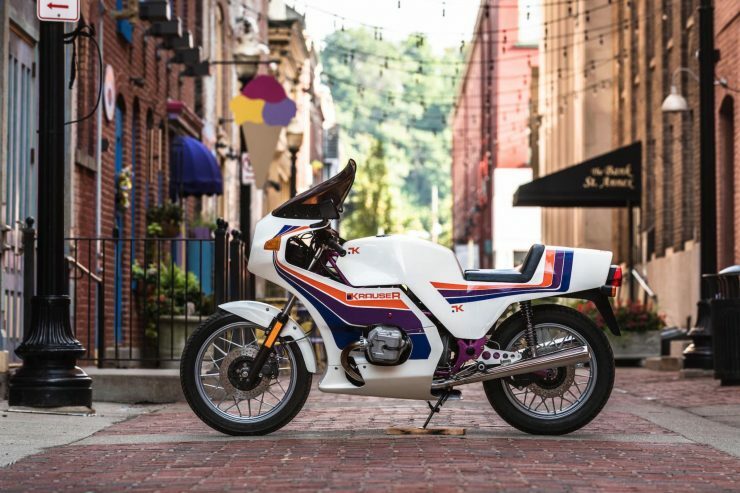 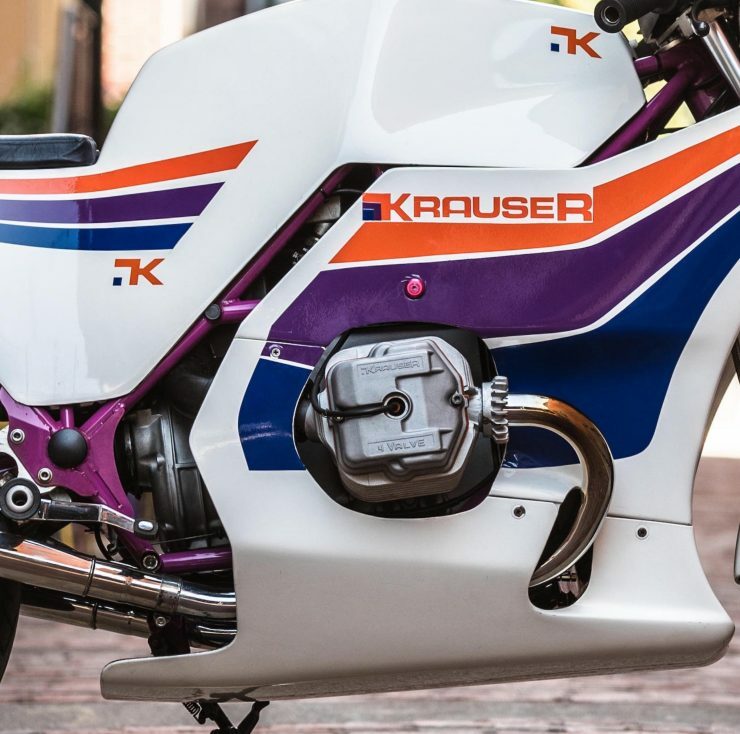 The one dream Krauser had always cherished was the dream of building his own motorcycle, and by the late 1970s he had the required capital combined with decades of connections with BMW. 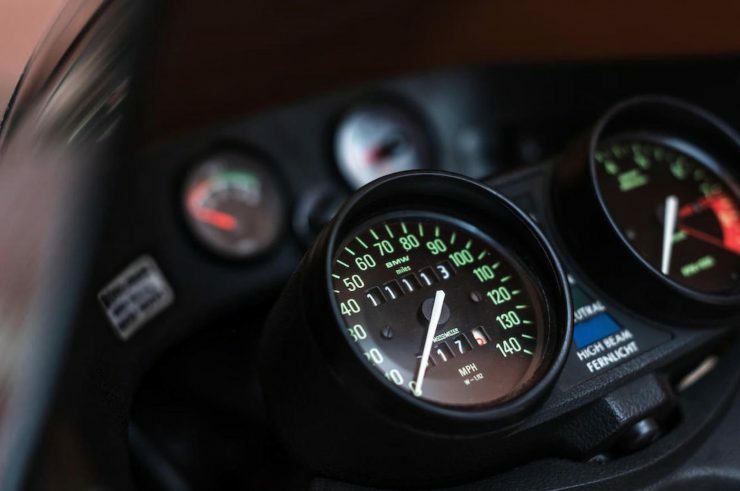 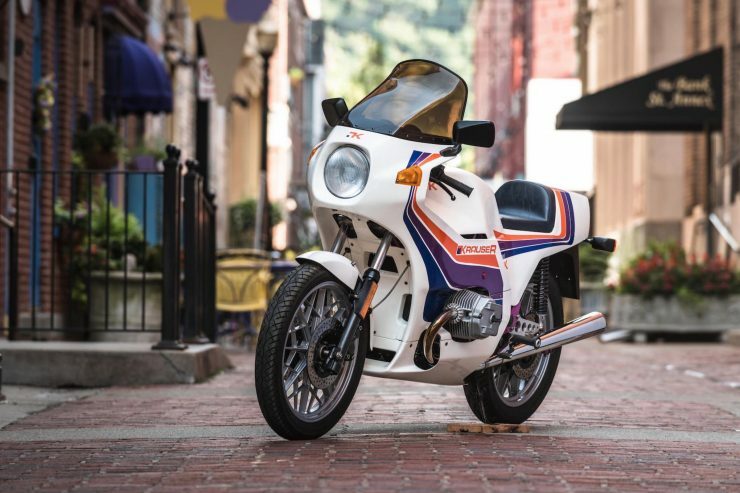 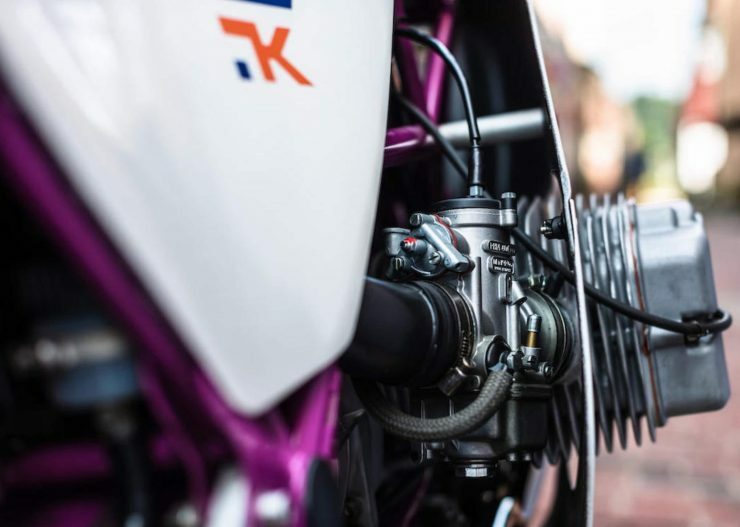 For obvious reasons he chose to use BMW engines and drivetrains, as well as suspension, brakes, and electrics – specifically from the BMW R100RS. 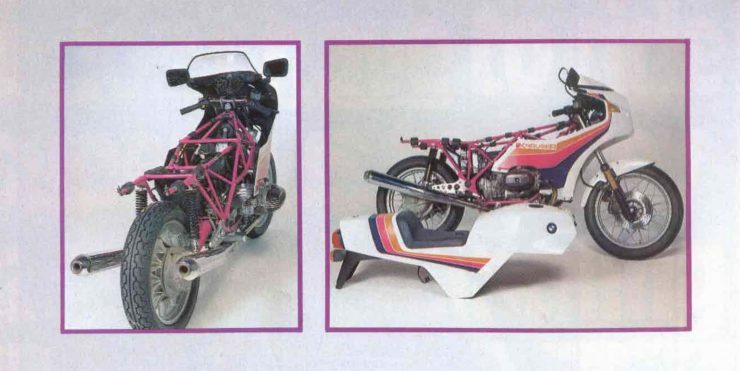 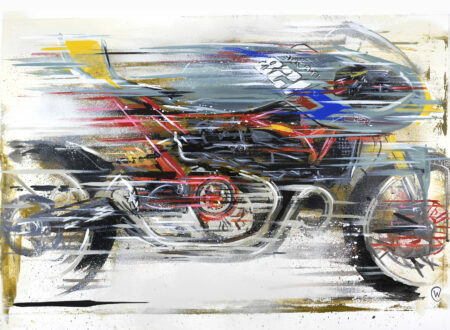 The real magic of the Krauser MKM 1000 would be its frame. 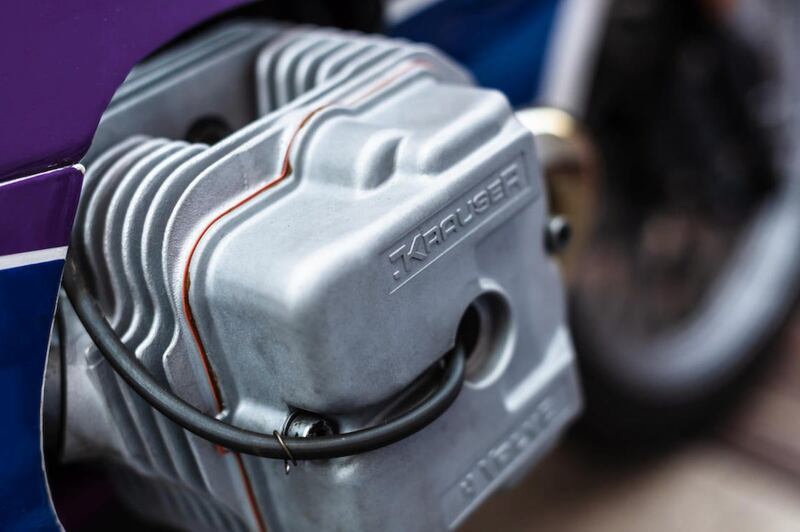 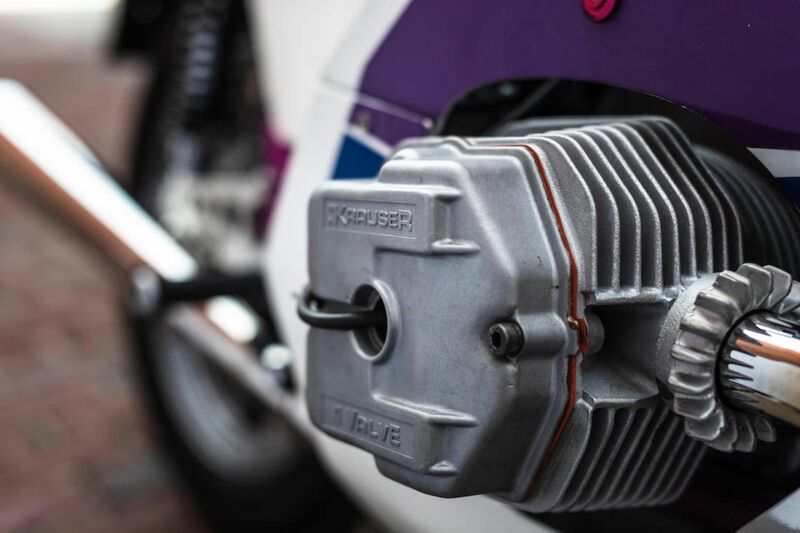 In such the same way that specialist companies like Seeley and Rickman in Britain had been developing lightweight racing frames, Krauser wanted to develop a suitably advanced German frame for the iconic BMW boxer engine. 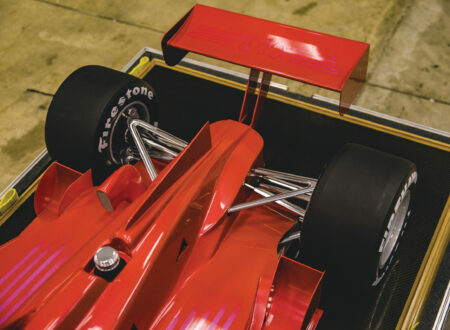 The use of computers in frame design was still relatively new in the late 1970s, though after much experimentation a new space frame was developed that used 52 straight and 4 slightly bent chromium-molybdenum steel tubes requiring welds at 150 points. 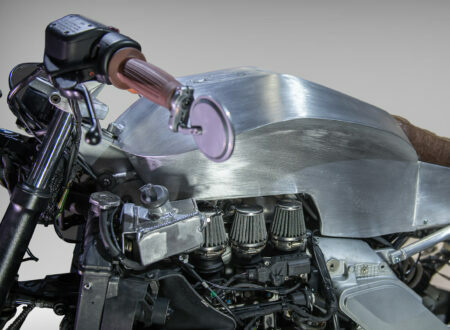 This new frame, nicknamed the bird cage by period motorcycle journalists, weighed in at just 11.6 kilograms – 6 kilograms less than the original BMW frame. 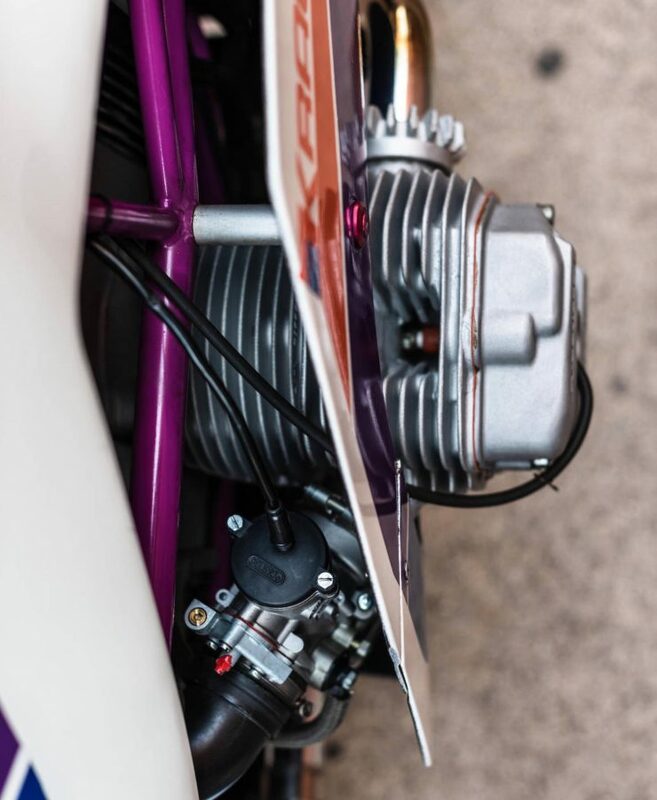 A series of other changes were made when integrating the BMW parts, the engine sat slightly higher, the front forks were an inch and a half lower, rake and trail were increased, custom rear sets were developed as well as a metal fuel tank that is hidden under the elegant one piece tank cover, seat, rear cowling. 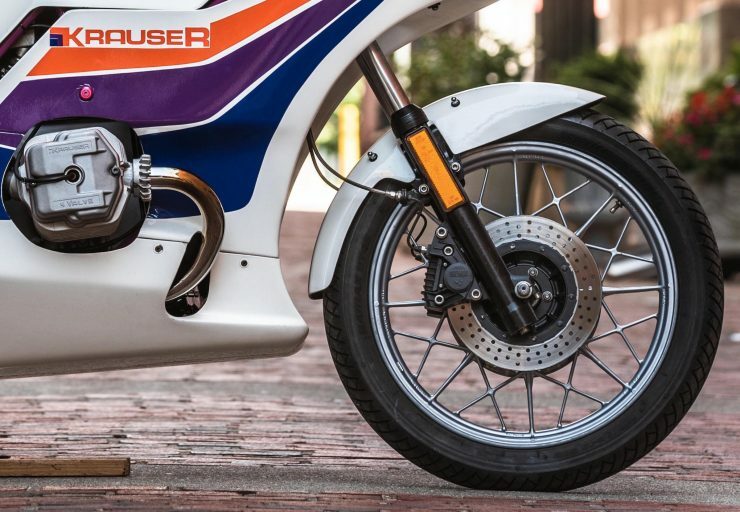 A matching aerodynamic fairing was developed for use on the autobahns, and a wider swingarm allowed the fitment of a wider rear wheel with subsequently wider rear rubber. Though the Krauser MKM 1000 was a beautifully designed motorcycle with excellent handling and characteristic German reliability, it was astonishingly expensive for the time at $14,000 USD apiece. 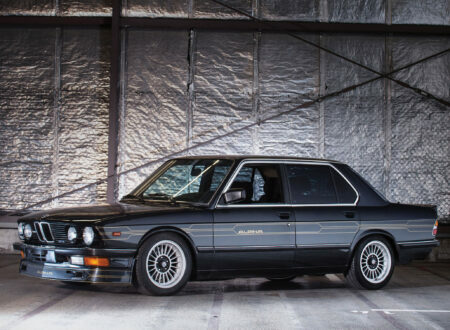 This limited the sales somewhat, with approximately 237 being built between 1980 and 1982. 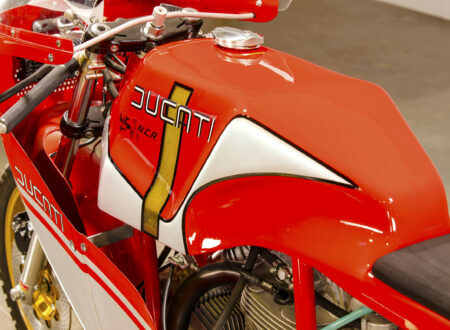 Today the surviving examples are wildly popular with collectors due to their excellent riding manners and extreme rarity, when they do rarely come up for sale they typically change hands for anything from $30,000 to $50,000+ USD depending on condition. 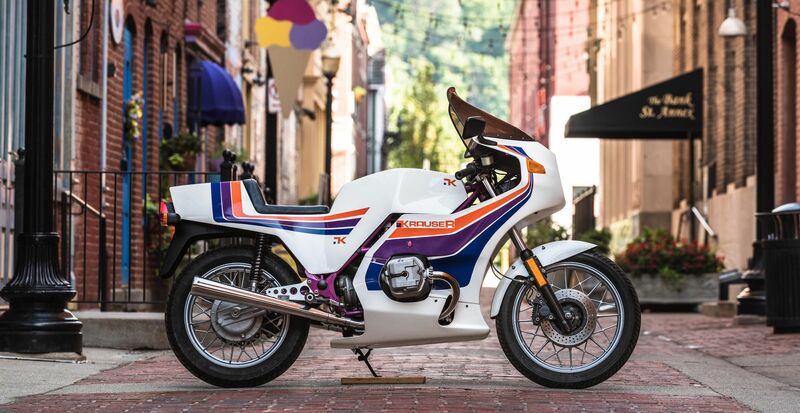 The motorcycle you see here is the single best equipped Krauser MKM 1000 we’ve ever come across. It’s fitted with the rare Krauser 4-valve heads bumping power from 60 hp to 72 hp, as well as a pair of 40mm Dell’Orto PHM carburetors, a BMW 336Rs sport cam, and Ducati-Conti-style stainless steel mufflers. 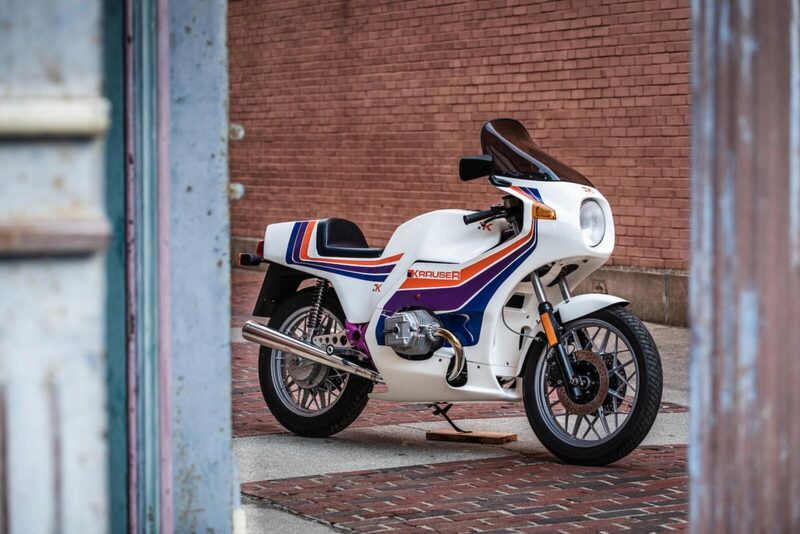 Though there’s no dyno chart available it’s safe to say that this is a bike now producing notably over the 72 hp you’d expect from a BMW R100RS twin with 4-valve heads. The current owner has had the bike for over 20 years, maintaining it in excellent condition. 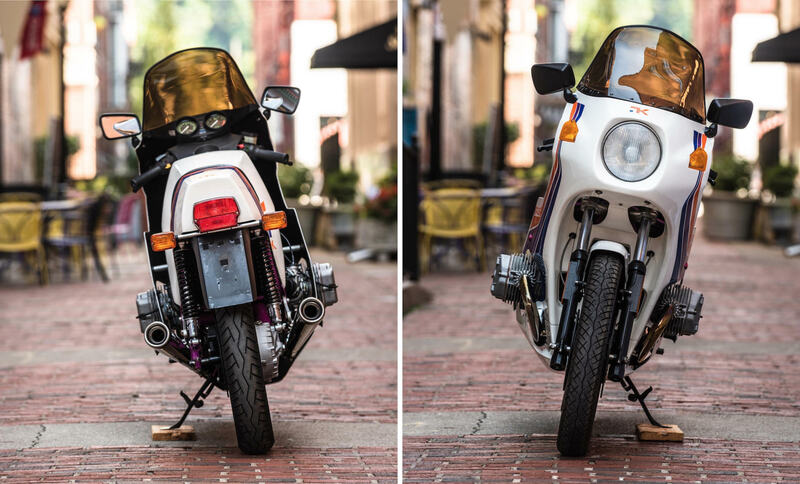 The bike is due to roll across the auction block with Bonhams on the 6th of October with an estimated value of between $35,000 and $45,000 USD, representing a rare opportunity to buy what might be the best spec example of the Krauser MKM 1000 in the world. 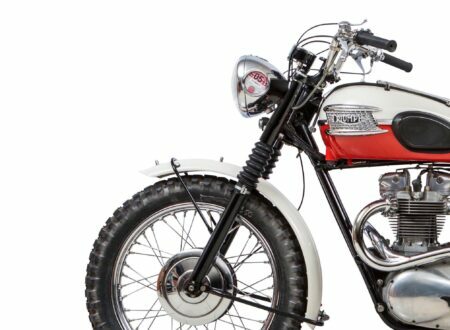 If you’d like to read more about it or register to bid you can click here to visit the listing on Bonhams.